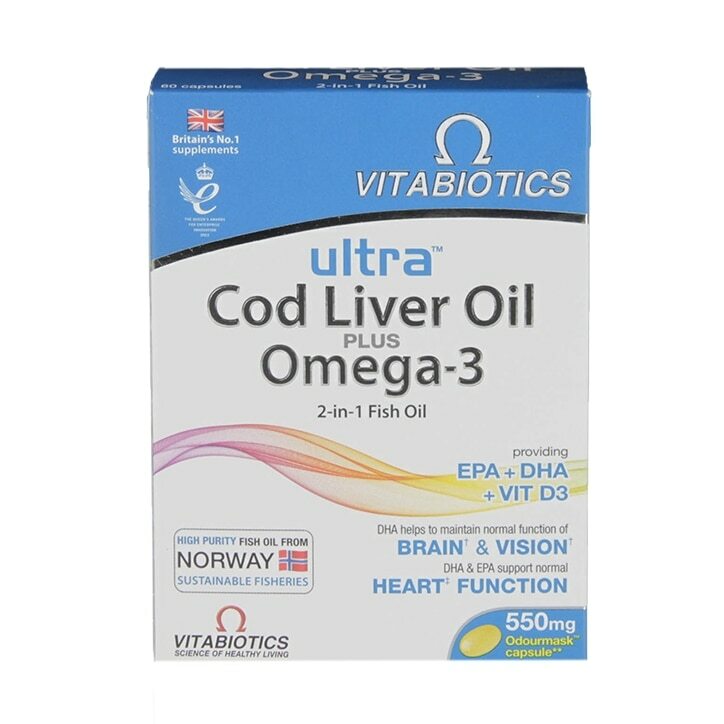 Vitabiotics Ultra Cod Liver Oil is rated 4.7 out of 5 by 6. Rated 5 out of 5 by Febe from Good quality Bought recently and will buy again. Online easy to order. Rated 4 out of 5 by Eka123 from Nice tasting for a change! These capsules have a lemon flavour which means no horrible fishy after taste.